Don't pretend like you don't care how your Instagram looks and like you're not majorly jel of hot insta girls who pose outside those white houses in London and lay their make up out on marble surfaces. I know you care, and that's good because I care too. SO let's stop pretending having a nice Instagram feed is effortless, and don't be ashamed of putting a bit of effort into your gram. You probably already filter your photos in another app, and you're lying if you say you've never edited a spot out. Why stop there? Be extra af, if you want a fit Instagram then get the app I'm about to show you. I already know you're not too cool to care, since you clicked this link lol. PS sorry for the clickbait title btw. I downloaded an app a few weeks ago that I have literally not stopped recommending to everyone and anyone who'll listen. Also this isn't even sponsored, I'm just THAT excited about this bloody app. 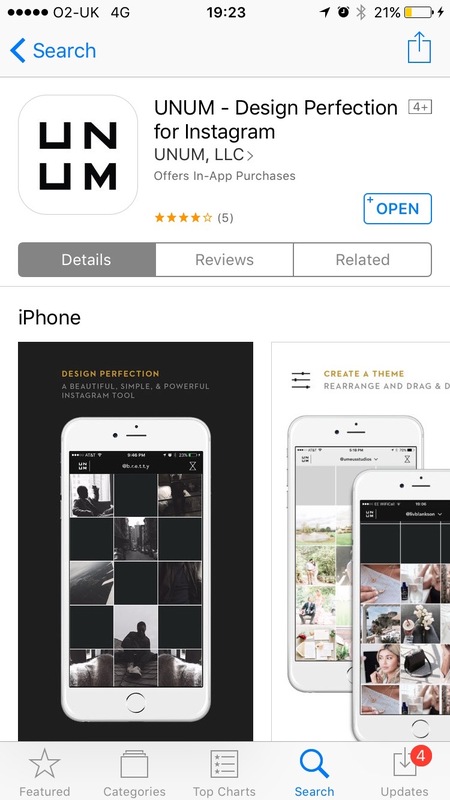 UNUM is an app that describes itself as a "design tool" to "end ugly instas", and honestly works. I think theres similar apps available that have a similar idea about them. They're essentially for planning posts before you actually post. You log in to your account, then add in photos to your grid and you can see what they look like all together. Log into your account and it appears in the app. This basically helps you achieve and maintain the number 1 rule of pretty insta feeds: make sure your posts compliment each other. Obviously this starts with what the photos are actually of. But the next step is all about matching the filter, warmth and brightness so they appear coherent. The second reason this app is useful is so you can plan and shift around the order of your posts so that they vary is content. 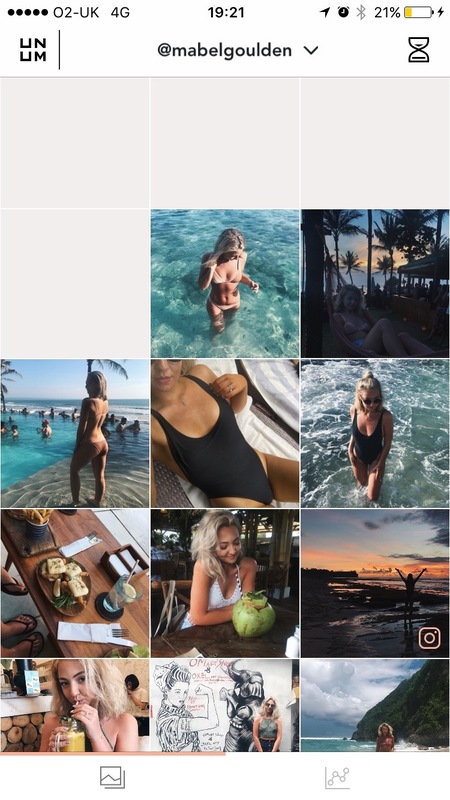 For example, having 7 bikini pics in a row is boring, but posting one followed by a pic of your cocktail, then another, then the view from your balcony, then 2 more, then an OOTD and so on. Having photos from different distances is a great way to break up a feed thats getting repetitive. Being able to plan posts can give you a heads up of what kinds of photos you might need more of (eg less food more outfits or whatever). You can also view your stats etc from the app. What more do you need. Of course this isn't solely an app for fashion bloggers. If you've got one of those really indie insta accounts this could definitely work for you too, to break up blurry pics of your friends with more photos ceilings etc. A coherent feed is important no matter what kind of content you're into.